I'm a front end developer building and playing with the latest technologies. In my free time I run React meetups, and React and React Native workshops in Portland Oregon. In this course we'll explore how to create many popular animated concepts in applications across web and mobile applications. 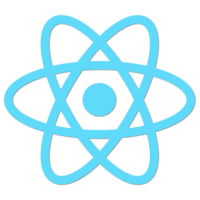 We'll look at both simple, complex, and subtle interactions that you can use to enhance your React Native application. This course should empower you to look at an animation in an application, break down the effect, and rebuild it in your own application. The ultimate goal is to show how using the basic Animated calls we can build out effective and complex animations that take your application to the next level.